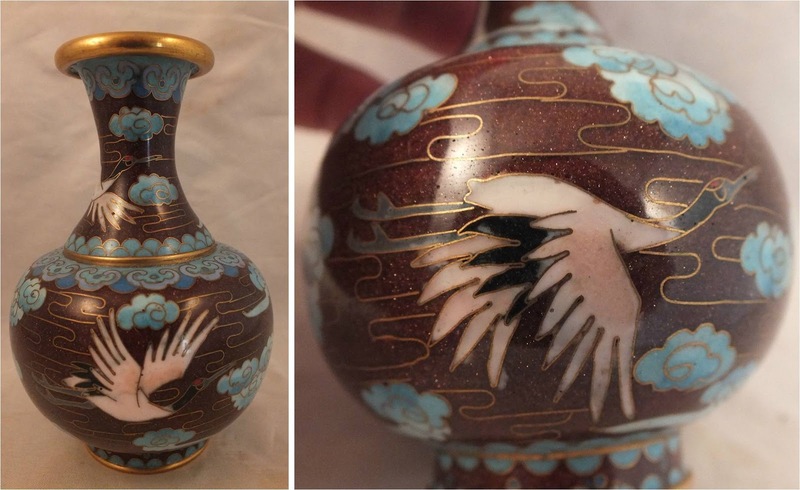 In a caption for a picture of a necklace in my previous post about a millefleur pattern I mentioned that one of the cloisonne beads featured an old-fashioned version of a red-crowned crane. Crane bead is just to the right of center. On offer from eBay vendor doctorette. 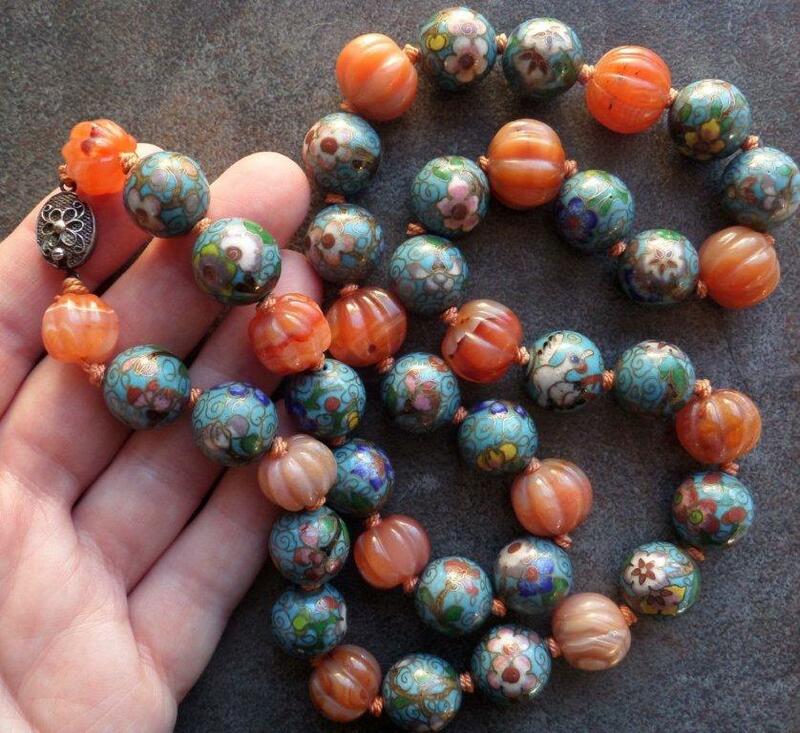 Note the resemblance of the flower centers to those in the necklace beads. Another beautiful old Chinese box from doctorette. 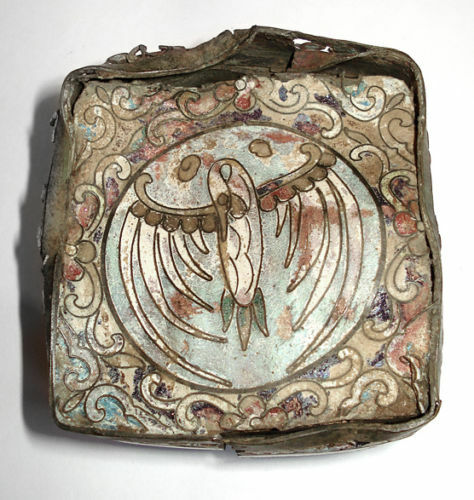 A box described as excavated from along the Siberia/China border. Note how the red crest lies below the curve of the head, not above it. 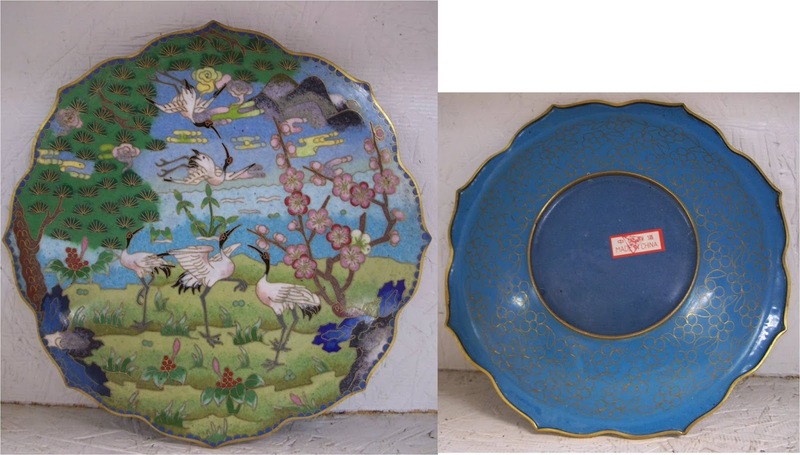 Rubylane shop Historique described this plate and a similar one on offer as, "Purchased in Hong Kong in the late 1960’s at a night market."